More and more states are legalizing marijuana for medicinal purposes. Of course, some states are also legalizing marijuana for recreational purposes. It seems likely that marijuana will eventually become legal recreationally and medicinally everywhere, but it is going to be a long process. In the meantime, people with medical problems can get help from marijuana only in the states that allow it. Likewise, those people can only get a prescription or medical authorization for certain medical conditions. In other words, where medical marijuana is legal, it is not just a matter of going to any doctor and asking for a prescription. For instance, in Florida, a doctor has to successfully complete the required course and examination to be allowed to recommend marijuana to patients. Additionally, only certain medical conditions legally qualify as medical conditions for which medical marijuana can be used as a treatment. In Florida, there are eleven qualifying conditions for which medical marijuana can be recommended by a doctor. These are all very serious medical conditions. There is also a catchall category if a person has a medical condition that is serious and the doctor thinks the use of marijuana will do more good than harm. This is somewhat of a ridiculous standard since marijuana does little, if any, harm while there are numerous medical conditions for which it can help. But, we are still a long way from even a basic, unbiased collective understanding of marijuana so laws are written this way for now. States with medical marijuana laws have different rules, but they are generally similar in that there are restrictions covering who can recommend marijuana and for what it can be recommended. Fortunately, PTSD (post-traumatic stress disorder) is one of the medical conditions for which people can use medical marijuana in Florida. However, it is not properly recognized as a qualifying condition in all medical marijuana states. In Florida, many criminal cases involving drugs and guns result from traffic stops. A police officer will conduct a traffic stop and become suspicious or allegedly discover evidence of illegal activity and search the vehicle. A search of the vehicle can be based on consent, which the driver or occupant never has to give. Or, sometimes the police officer will call a drug K-9 to the scene that alerts to the odor of narcotics. These searches can be questionable if the police officer keeps the vehicle and driver at the traffic stop for an unreasonable period of time while waiting for the drug dog. There are other methods the police use to search vehicles after a traffic stop, but requesting consent is a common one. Not every traffic stop involves a vehicle. People in Florida need to be aware that the traffic laws apply to people on bicycles as well. The police can stop a bicycle for running a stop sign or a red light just like a vehicle. However, the initial stop of the vehicle, or bicycle, must be legally valid in order for any search or arrest thereafter to be valid. In a recent possession of crack cocaine case south of Jacksonville, Florida, the suspect was riding his bike against traffic. Florida law says a bike must ride with traffic, just like a car must. Of course, people ride their bikes against traffic all of the time and the police ignore it, but in this case, they stopped the rider. While issuing the rider a citation, the police officer asked him if he had any drugs or guns in his possession. The rider admitted to having crack cocaine. The police officer searched him, found the cocaine and arrested him for possession of crack cocaine. As readers of this blog know, we have written extensively on issues relating to marijuana and the legalization of marijuana. It is a particularly relevant topic these days as more states legalize marijuana either recreationally, or as Florida did in the 2016 election, for medicinal purposes. It is our belief that marijuana will ultimately be legal for all purposes in all states at some point. However, getting there is going to be a long and arduous process. Apparently, the election of Donald Trump and the appointment of Jeff Sessions as Attorney General will not do much to advance the legalization movement. As stated, Florida did achieve a small victory in November as a majority of voters approved an initiative to legalize medical marijuana in Florida. I decided to write this article to give people a little better understanding of what that means in Florida and to alert people that Shorstein, Lasnetski & Gihon is prepared to assist professionals who are seeking to enter the marijuana industry in Florida. As Colorado, Washington, Oregon and other states have shown in a short period of time, the marijuana industry is going to be tremendous. So what new rights does the Florida medical marijuana law confer on qualified people in Florida? It allows people with certain medical conditions to obtain a certificate from a doctor that can be used to ultimately obtain marijuana to treat those conditions. The law does not allow just anyone with any medical problem or aches and pains to go to any doctor and request a certificate for medical marijuana. Only certain medical conditions qualify. Those include: ALS, cancer, HIV/AIDS, Crohn’s disease, epilepsy, glaucoma, multiple sclerosis, Parkinson’s disease and PTSD. As you can see, these are very serious medical conditions of which a patient must have a documented record to move forward with medical marijuana treatment. Most people have heard through school, interaction with the judicial system, television shows or otherwise that there is a constitutional right to jury trial for people charged with a crime. This is usually true, but it is not true in every case. There is an exception for certain minor crimes where a defendant does not have a right to a jury trial and the judge decides whether or not the defendant is guilty of the crime. That exception involves crimes where the defendant cannot be sentenced to jail or prison for more than six months. In other words, if a defendant is charged with a minor crime and the maximum penalty is six months or less in jail, the defendant is not entitled to a jury trial. The parties might agree to a jury trial or the judge might insist on a jury trial, but the law does not give the defendant a right to a jury trial if he/she wants one and the judge will not allow it. Of course, this would only apply to minor misdemeanors, and it would never apply to felonies. However, some people can be seriously impacted by any criminal conviction no matter how minor the charge or by any time in jail and may want a jury trial to protect his/her rights. It is important to understand that a defendant is always entitled to a jury trial in a criminal case if the potential penalty for a conviction of the crime is more than six months. It does not matter if the judge is not likely to sentence the defendant to more than six months in jail or even if the judge says he/she will not do it. As long as the law allows for a sentence of more than six months in jail, the defendant can have a jury trial. For instance, there was a case just south of Jacksonville, Duval County, Florida where a defendant was charged with possession of less than an ounce of marijuana. This is a misdemeanor crime, but as ridiculous as it may seem, it carries a potential penalty of a year in jail. The defendant wanted a jury trial, but the judge denied the request because he said he had no intention of sentencing the defendant to jail time if he was convicted of the crime. The defendant had his trial with the judge as the decision maker (referred to as a bench trial), the judge found him guilty and the judge sentenced him to no time in jail. 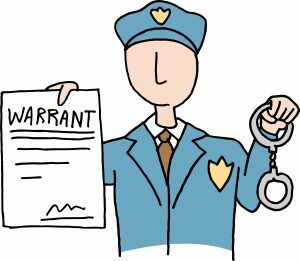 In Florida, the general rule is that the police cannot search a person’s property without a search warrant or specific consent from the owner of that property. There are exceptions, of course, but a police search without a search warrant or consent is generally going to be illegal. When the police arrest someone, they can always search that person because the police have a right to determine if the suspect has any weapons or evidence that can be destroyed on him/her. However, that search is generally limited to the person and only after a valid arrest. The police cannot go searching a person’s vehicle or home just because of an arrest. In a recent drug case near Jacksonville, Florida, the police had an outstanding warrant for the defendant and received a tip that he was at a particular residence. They located the suspect and arrested him in the front yard. The police then walked around to the back of the residence and looked through a window where they saw guns and illegal drugs inside the house. They used this information to obtain a search warrant to search the house and seize the guns and marijuana. 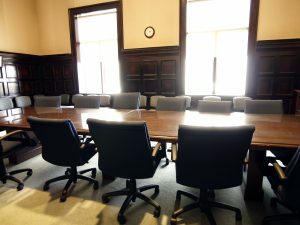 The criminal defense lawyer filed a motion to suppress the evidence of the guns and marijuana arguing that the police did not have a legal basis to walk to the back of the defendant’s property to look through the window. Police cannot walk into a person’s home to search without a search warrant or consent, and this also applies to what is called the curtilage of a home, which is the area of land surrounding a residence including any closed structures. In this case, the area next to and behind the house was considered the curtilage. It is often considered the area adjacent to the home where the public is not normally expected to go. For instance, a member of the public might walk up a person’s driveway to knock on the front door, but he/she is not likely to walk around a house and look through windows on the side or back of the house. In order for the police to be able to search your home for evidence of a crime, they either have to have a valid search warrant or they have to have consent from the owner or someone with proper authorization to give that consent. For the latter method, the police are generally allowed to walk up to your front door, knock and ask to come inside. As long as people give the police permission to come inside their homes and search, the police almost never have to get search warrants by explaining to a judge what legal reason they have to enter a residence. Therefore, it is important for people to understand that they can always (and usually should) refuse when police ask to search their property. Unless your property is gated or otherwise partitioned from public access, the police can go to your door, knock and try to get permission to enter in Florida. What can the police do if you do not answer the door or if you are not home? If you are not home, they cannot enter since they would not have permission. They would have to get a search warrant from a judge. If you are home, the police can see or hear that you are home and you do not come to the door, can they enter the home? One sad fact about elections and political movements- they are expensive, and the costs seem to increase each year. As more and more states realize there is a medical benefit to marijuana and it is ridiculous to have it on the list of Schedule I drugs along with substances like heroin, more states are moving to legalize medical marijuana. Additionally, as more and more states realize what a complete waste of taxpayer money and government resources it is to have police arresting marijuana users and sellers and have prosecutors bring criminal cases against them, more states are seeking to legalize marijuana completely. Marijuana legalization efforts are finding their ways on ballots all over the country. As a result, there are campaigns for and against marijuana legalization. Any such campaign needs to be well financed for success. Do you know one of the primary groups funding the effort to keep marijuana illegal and to keep taxpayer money going towards the arrest, prosecution and incarceration of marijuana users and sellers? Not surprisingly, it is the pharmaceutical industry. The reason is obvious. When people decide to treat their pain, anxiety, seizures, depression, PTSD and many other afflictions naturally with marijuana, they are not paying the exorbitant prices required to treat those same medical problems with synthetic drugs. And that results in less profit for pharmaceutical companies. According to a new study published in HealthAffairs, in the seventeen states that have authorized medical marijuana as of 2013, fewer prescriptions for synthetic painkillers and other drugs were written. For instance, the average doctor in those states prescribed 265 fewer doses of anti-depressants, 486 fewer doses of seizure medication, 562 fewer doses of anti-anxiety medication and 1,826 fewer doses of painkillers each year. A more thorough summary of the results of the study can be found in this Washington Post article. The federal government maintains a list of Schedule I drugs. According to the United States Drug Enforcement Agency, these are substances that they have determined have a high potential for abuse and have no accepted medical benefit. You do not have to look far down the list to see how much of a sham it is considering that heroin, bath salts and marijuana are on this same list. One of these is not like the others. We were hoping that the government would come to its senses and remove marijuana from the list, for several reasons, not the least of which is that it is prescribed for medicinal purposes all across the country now, by actual doctors who have learned about medicine in school and in practice. Unfortunately, as is often the case, we continue to wait for the government make a rational decision here that actually helps people. So, marijuana remains on the list. And a new substance has been added. A substance called kratom is now a Schedule I drug according to the DEA. Kratom is a plant from Southeast Asia that people use to treat pain. Many people use it to avoid taking pain pills, which of course are perfectly fine to be sold en masse to people in the United States. The DEA has added kratom to the Schedule I drug list because of two substances found in the plant- mitragynine and 7-hydroxymitragynine. Kratom has similar effects to pain pills, which is why people use it instead of pain pills. Apparently, it is addictive, like pain pills, but unlike pain pills, it is not something that people overdose on, for the most part. The percentage of kratom related deaths compared to kratom use is extremely low, and significantly lower than overdoses and deaths relating to painkillers. While decisions such as these create more laws and more government, they also serve to push people to more dangerous pharmaceutical products. For substances that are not particularly dangerous and/or are much less dangerous than prescription drugs used for similar purposes, these rules and laws and clearly counterproductive. However, given that these rules and laws increase government, increase the need for prisons and increase profits for pharmaceutical companies, you have to wonder what exactly the real purpose is.